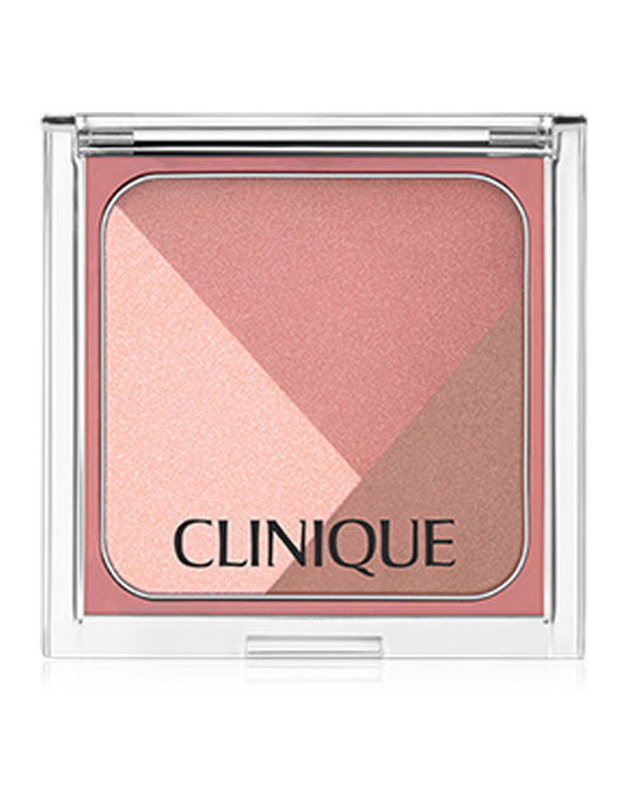 Versatile cheek sculpting compact with natural-looking shades that blend and build beautifully. Use each separately to colour, contour, highlight. Or swirl them together for a quick easy glow. Use mid-toned shade as a blush, deep-toned shade to contour, lightest shade to highlight. For a quick, easy glow swirl brush over entire palette and dust over apples of cheeks. Long-wearing, oil-free.